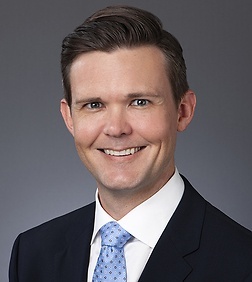 Dylan Price is an associate in the Business Trial and Entertainment, Technology and Advertising Practice Groups in the firm's Century City office. Dylan practices in the areas of entertainment, intellectual property and commercial litigation. Dylan’s broad entertainment practice includes the representation of studios, producers, managers and media companies in connection with various types of claims, including those relating to motion picture distribution rights, content licensing, music rights, participation accounting issues, residual allocation claims, final cut rights, partnership disputes and breach of contract claims. Dylan has substantial experience representing entertainment clients in both state and federal court, as well as in arbitrations before the Independent Film & Television Alliance (“IFTA”) arbitration tribunal. Dylan’s intellectual property practice includes representing clients in disputes involving copyright, trademark and right of publicity claims. Dylan helps intellectual property owners police their intellectual property rights and has secured a number of pre-litigation settlements for his clients through his aggressive representation. Dylan also counsels filmmakers and producers on intellectual property clearance issues and risk mitigation strategies, including the analysis of fair use defenses under Section 107 of the U.S. Copyright Act, and provides guidance to new media clients in navigating the contours of the Digital Millennium Copyright Act (“DMCA”), including the DMCA’s take down and counter notice procedures. Dylan also represents various corporate clients involved in business, tort, insurance and consumer class action litigations. Dylan has substantial experience representing foreign clients challenging personal jurisdiction in actions based on both contract and the so-called “stream of commerce” theory, and has obtained dismissals on behalf of multiple clients based on the lack of “minimum contacts” under the federal due process standard for jurisdiction. Dylan has also represented a number of national retailers and fashion companies in consumer class actions involving consumer privacy statutes and false advertising claims relating to outlet store pricing practices. Dylan served as lead counsel for a distribution company in an Independent Film & Television Alliance (“IFTA”) arbitration involving participation accounting claims and complex allocation issues relating to DVD box set and television licensing revenues. Dylan prevailed on an anti-SLAPP motion on behalf of an international broadcaster and its production company in connection with a lawsuit alleging that the clients’ television program converted the plaintiff’s concept for a documentary and tortiously interfered with its contractual relations and prospective economic advantage. Dylan represented an acclaimed fashion photographer in a dispute with a fashion house over the use of infringing images in an advertising campaign. Dylan represented a French production company in connection with an investigation into the piracy of the company’s animated film. Dylan represented various MGM companies in the matter giving rise to Madison Miracle Productions, LLC v. MGM Distribution Company, 978 N.E. 2d 654 (Ill App. 2012), in which the Appellate Court reversed the trial court’s denial of MGM Distribution’s motion to dismiss for lack of personal jurisdiction in a 42-page published opinion focusing on the “minimum contacts” prong of the federal due process standard for personal jurisdiction. Dylan secured a pre-litigation settlement for a foreign distribution company relating to claims involving the Latin American distribution rights to a feature film. Dylan represented a movie studio in a multi-million dollar accounting dispute involving the merchandising and promotion rights surrounding a well-known character. Dylan represented the personal manager for an internationally renowned musician in a proceeding before the California Labor Commission relating to alleged violations of California’s Talent Agency Act. Dylan represented a national electronics retailer in connection with right of publicly claims asserted by six A-list actors based on the use of movie stills (owned by various film studios), which showed characters the actors had played in various films, to advertise the sale of home entertainment products. Dylan defended a national department store against right of publicity claims asserted by an A-list actor arising from the sale of a shoe style that bore the actor’s first name. Dylan represented a couture fashion house in a dispute involving claims for interference, restraint of trade and defamation, brought by a seller of counterfeit goods on a well-known online auction website. The client prevailed on a motion for summary judgment based on evidence of counterfeiting that was uncovered during discovery. Dylan defended a well-known kitchenware retailer in a consumer class action involving California’s Shine the Light Act, obtaining dismissal of the plaintiff’s class action complaint on demurrer. Dylan represented Nordstrom, Inc. in the matter giving rise to Shaulis v. Nordstrom, Inc., 865 F.3d 1 (1st Cir. 2017), in which the First Circuit unanimously affirmed the district court’s dismissal of the plaintiff’s false advertising claims based on the pricing of merchandise sold at Nordstrom Rack. Dylan represented a handbag company in a class action asserting false advertising claims relating to the pricing of handbags sold at company-owned outlet stores, which was voluntarily dismissed by the plaintiffs during the course of discovery. Dylan represented a public entity in connection with claims against its joint powers authority seeking employment practices liability coverage for a host of underlying employment lawsuits, obtaining arbitration awards in excess of $10 million.